What is the reason for increasing sales of low-sulfur fuel oil? As of 1 January 2009 standard fuel oil, even if refined through additives to premium quality, is “penalized with a tax” of 1.5 cents/liter. The government wants to accelerate the widespread use of low-sulfur heating oil. By now, the distribution network is so dense that every oil trader has the opportunity to offer low-sulfur fuel oil its customers. It is generally assumed that additives are already added to low-sulfur fuel oil in the refinery. This assumption, however, is wrong! Why should low-sulfur fuel oil be further additivated? Low-sulfur fuel oil is of standard quality which can still be improved significantly: The DIN standard for low-sulfur fuel oil explicitly permits additives. Low-sulfur fuel oil shows poor lubricity because sulfur is also a lubricant. Often, refineries try to compensate this, however, insufficiently. Bonding by aging products were found to cause clogged pumps. Low-sulfur fuel oil is produced by hydrocracking. This is the reason why low-sulfur fuel oil shows- an increased tendency to oxidize. In order to offset this tendency, antioxidants or stabilizer packages should be added to low-sulfur fuel oil. In the transport and logistics chain biocomponents often unwantedly enter and mix with the low-sulfur fuel oil. Additional stabilizing substances should be added, which can ensure storage suitability of the low-sulfur fuel oil. Often, low-sulfur fuel oil smells unpleasantly upon delivery. This can be covered up by adding a fragrance. What happens when I use too much MATHY-SPEZIAL-H? Using up to 2 : 2,000, twice the recommended mixing ratio, is entirely unproblematic. However, increasing this mixing ratio further does not increase the effectiveness! Which fuel oil requires what kind of additive? 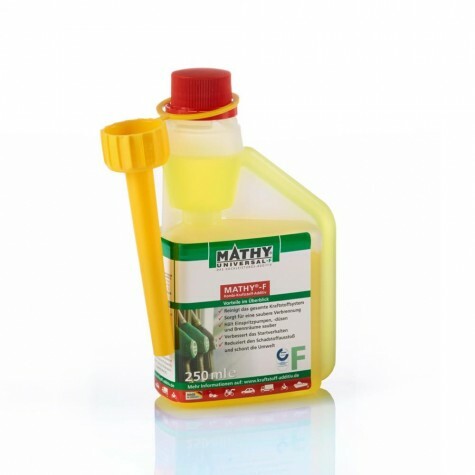 We recommend MATHY-SPEZIAL-H for low-sulfur fuel oil EL, even with a small organic content, and for standard fuel oil. In what types of burners can MATHY SPEZIAL-H be used? MATHY SPEZIAL-H can be used in oil-fired heating systems of all kinds. This includes rocket burners, yellow, blue and cup burners (oil stoves) as well as pre-evaporators and low temperature heating systems. Can I save money with MATHY SPEZIAL-H? Yes, you can sustainably save money with MATHY SPEZIAL-H. See for yourself! The use of MATHY SPEZIAL-H saves more money than it costs! Example calculation: as of January 2017, 2,000 liters of low sulfur fuel oil cost € 1,350/-. The use of MATHY-SPEZIAL-H can at least achieve a saving of 5% which equals € 67.50. 1 liter of MATHY SPECIAL H costs € 22.95; resulting net saving = € 44.55. In other words, the net savings are considerably higher than the purchase price for MATHY-SPEZIAL-H. Normally, your fuel oil supplier offers you an addition directly from the tank truck. This quality improvement does “only” cost you € 0.02 per liter fuel oil, but is this really a financial benefit for you? You do not get a better fuel oil but only an additive similar to MATHY additives. 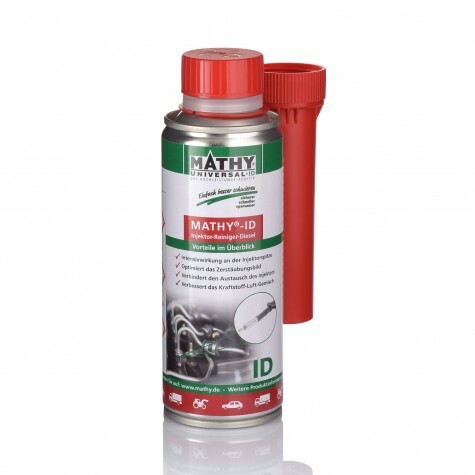 See for yourself: MATHY-SPEZIAL-H is cheaper than the direct addition of a fuel oil additive from the tank truck! Example calculation: as of January 2017, 2,000 liters of low sulfur fuel oil cost € 1.350/-. Direct addition from the tank truck is about 0.02 € / liter = € 40/-. Total price € 1.390/-. 2,000 liters of low sulfur fuel oil = € 1.350/- plus 1 liter of MATHY-SPECIAL H = € 22,95. Total price = € 1,372.95. Net savings per 2,000 liters of fuel oil = 17.05 EUR with MATHY SPEZIAL-H.
How does MATHY-SPEZIAL-H WINTER additive work? Fuel oil EL (extra light) naturally contains paraffins, which have an excellent caloric value but are pretty sensitive to cold. Once the so-called Cloud Point (CP) is reached the paraffins form large flaky wax crystals by the process of crystallization. Their spongelike structure entails an inclusion of other components of the fuel oil in the crystal structure. Thereby, the paraffin crystals grow considerably. In order to keep the paraffin crystals small and the fuel oil retaining its filtration and flow capacity, MATHY-SPEZIAL-H WINTER Additive contains, among others, the following active ingredients: (1) WASA (Wax Anti Settling Additive) prevents sinking of the small crystals into middle destillates (HEL and/or DK). (2) A special surface limiter envelops the paraffin crystals in a kind of orange peel and prevents the crystals from growing and/or sticking together. (3) So-called nucleating agents provide an environment of condensation cores for those paraffin crystals that develop at cold temperatures. As a result, smaller growth crystals develop instead of larger ones. The tiny crystals can easily flow through pipes and filters without clogging. Can MATHY-SPEZIAL-H WINTER be used with all types of fuel oil? MATHY-SPEZIAL-H WINTER Additive is completely oil-soluble and can be used in all types of fuel oil. We recommend MATHY-SPEZIAL-H for low-sulfur fuel oil EL, even with a small organic content, and for standard fuel oil. 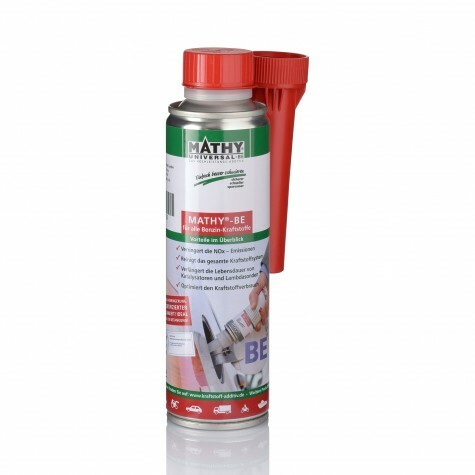 For which heating or tank system should MATHY-SPEZIAL-H WINTER be used? MATHY-SPEZIAL-H WINTER should be added to all oil heatings (and industrial combustion plants), whose oil tanks or oil supply stations are directly exposed to the cold. Even in underground tanks there is a risk of over cooling of the oil distribution system at the dome cover area. When should MATHY-SPEZIAL-H WINTER be added to the fuel oil? Ideally, MATHY-SPEZIAL-H WINTER should be added to the fuel oil during refueling before the start of winter. A subsequent addition is also possible, however, blending with the fuel oil is slower then. People tend to believe that winters will be mild, why spend money when it does not seem absolutely necessary. Most oil heating owners refuel only once a year, usually in the summer because the price for fuel oil is lower then. Who will think about a cold winter? “Usually, there will be no winter at all, … or … the last winters was not that cold”. A subsequent addition with MATHY-SPEZIAL-H WINTER is certainly possible when a cold spell sets in. However, it is cumbersome, and once crystallization of the paraffins sets in, it cannot be fully effective anymore because only the surface limiter will be working properly then. For this reason, the idea that adding MATHY-SPEZIAL-H WINTER in the warm season – in expectation of a mild winter – in not necessary, is absolutely wrong! 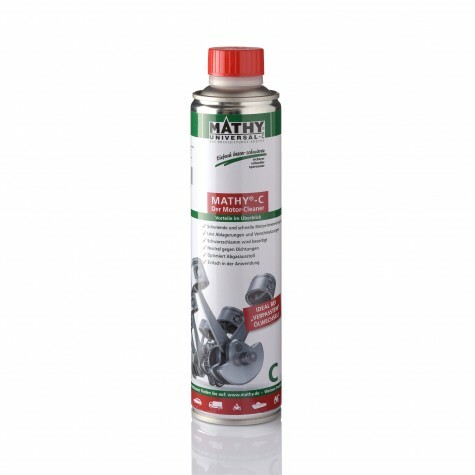 MATHY-SPEZIAL-H WINTER should principally be used preventively! 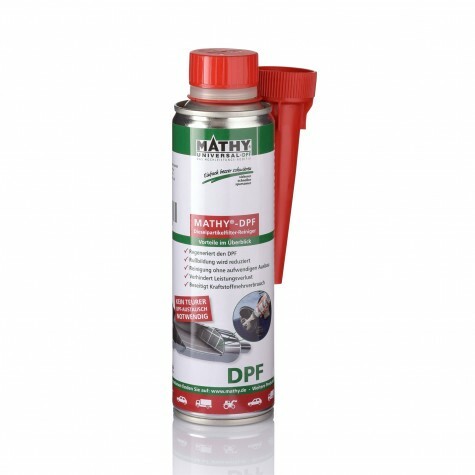 Preventive measures are always cheaper than a heating failure which usually is much more expensive than our additive. Note: Each additive that positively effects the flowability of fuel oil, i.e. lowers the threshold value of filtration and flow capacity – has to be added to the fuel oil before the Cloud Point is reached.